Every person has their individual plans – things they want to accomplish. So does a company. For a successful business, the employee's plans should work towards accomplishing the higher goals of the company. Now with Weekdone, you can set long-term goals for your teams and/or the whole company, and link personal items to them with #hashtags. The Objectives will be always visible to team members in front of their reports and editable by managers. A page is created for each Objective, where the linked items are listed. "Increase outbound #sales calls by 30% in Q4 2013"
"Reach 10 new customers this week #sales"
Setting quarterly objectives and following their progress is one great use case. The single Objective sub-page becomes almost like a project page for that goal. Unlike usual Weekdone pages, the Objective page is not limited to one week and shows the full history. To enable Objectives, head to your Company Template Settings page. Check one or both of the checkboxes for Team and/or Company Objectives to enable them. (Don't forget to click Save after that). When you now head to any of the report pages, you'll see the new Objectives section you can start filling in. You can link personal items to Objectives by using the same #hashtag in both the Team/Company Objective item and personal items. For example, add #sales in both and you'll have a special link item appear in front of the Objective. Clicking that takes you to page where all line items with hashtag #sales are listed. Easy as that. Which objectives have you set for your team? Go enable objectives for your account and make them visible in Weekdone. 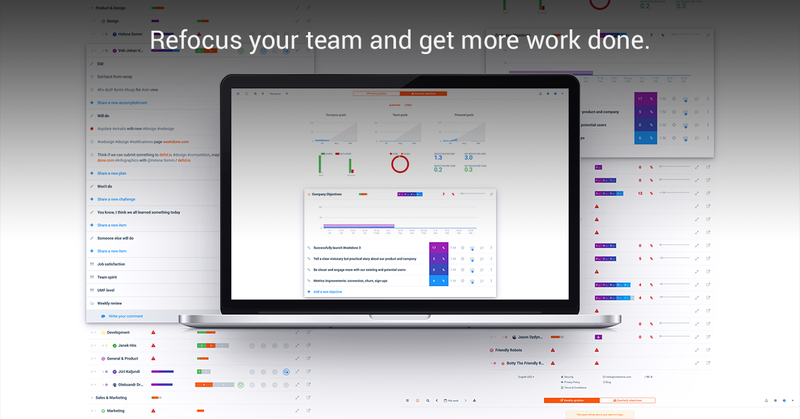 Weekdone also supports OKR's – Objectives and Key Results – the management technique used by Google, Intel, Linkedin, Zynga and many other startups and top companies. If you need to find one best practice process for setting and communicating objectives, OKR is it. 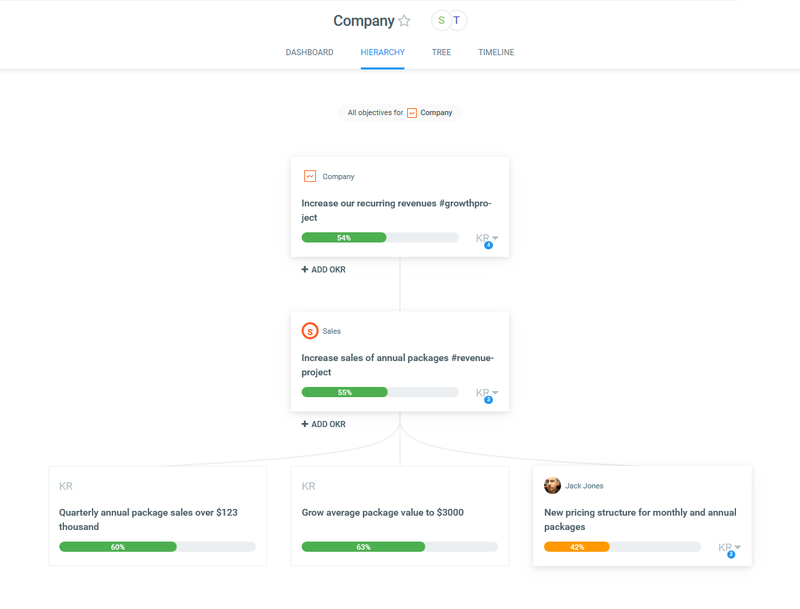 You can read more about OKR's on Weekdone Objectives and Key Results tutorial and examples page. Remember to follow us on Twitter, Google+ and Facebook for all about leadership, okr, objectives and key results and more!